Any and all product names are copyright and trademarks of their respective owners. None of the information has been reviewed or endorsed by any scientific or medical experts. The information provided on this site is of a general nature only and is not meant to replace the advice of your doctor or pharmacist. Please contact your healthcare provider for advice for your specific health or medical needs. 1. We are never paid to do a review. We never accept money to review a product or service. We invest our own time to review and test products. 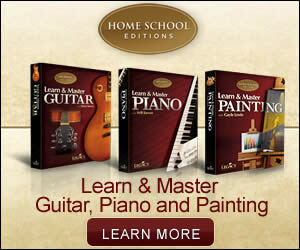 The views and opinions expressed on LearnMasterInstruments.com are purely the our owne. If we claim or appear to be expert on a certain topic or product or service area, we will only endorse products or services that we believe, based on our expertise, are worthy of such endorsement. 2. We don’t pay for the products we test. They are sent to me by the merchants. In almost all cases, the merchant approaches us first via email. If we feel it’s a product you might get benefit from, then we request they send me the product. 3. We don’t return the products after we test them. In certain cases, the product is used up or destroyed. In other cases, the product may get damaged during the testing. We don’t have the staff or the resources to process the return of the products. 4. If we create a link to a product in a review, in most of the time, we do get paid a commission if you purchase the product or service. This site uses affiliate links wherever possible. This allows us to generate income to sustain ourself and this website by receiving credit for referring customers to product merchants. Although we may receive commissions for products purchased or viewed on affiliate websites, we do not receive revenue for writing product reviews. Even though we make money from those affiliate programs, we always give our honest opinions, findings, beliefs, or experiences on those topics or products. All products featured and reviewed on our website are chosen for review by ourself. You’re going to buy a product if you like it, whether we sent you or not. The merchants just agree to share a portion of their profit with me as a way of saying “thanks for sending (Your Name) to us. We appreciate it!” It’s not a backroom, underhanded deal. Just a way to make a living. That said, we’d like to reiterate that no product will receive a better review just because it’s an affiliate’s product. We don’t work that way. Our opinions not for sale, and we’d rather warn you about a bad product and have you trust us for that than make a quick buck off of you and have you never trust us again. The same goes for advertisements. We offer ads for sale and we position affiliate ads on the site as a way to generate income. The ads don’t influence what or how well the product get reviewed. Just understand that we are paid when you do click on one of them or buy a product. 5. No advertiser will ever influence the content, topics or posts made at LoveMusicToday.com. Please contact us if you have further inquiries related to the information on this website or about our product reviews.